New material from Meteorologist Mike Morrison. Mike is from Colorado with family all over the West. Creative and enthusiastic, he's one of the best animators in the biz. He shot and edited the package on his site called "Floating the Flint". Was not renewed at WeatherNation. Please take a look! See all of Mike's clips. WEATHER NATION TV, Denver: Prime-time Meteorologist (March 2016 – March 2018). Anchored weather coverage for national TV network. Managed assigned shift weather team. Researched and produced weather forecasts for all 50 states. Wrote content for web and social media platforms. Enhanced quality of programming by making daily editorial decisions on content and focus of weather coverage. Planned and executed team’s coverage of severe weather (hurricanes, floods, tornadoes, blizzards) and communicate severe weather threats to the public. Wrote and edited content for a variety media platforms, audio and visual production, web page management. Produced content for various topics including planetary science, weather, earth science and space weather. Created custom animations and graphics for presenting science topics to viewers. Team player and multi-tasker. KOAA-TV, Colorado Springs: Staff Meteorologist (March 2015 - December 2015). WFXL-TV, Albany, GA: Chief Meteorologist and Station Scientist (2009 - March 2015). Skilled with computer animation and one of the first in the country to include personally designed 3D graphical models in forecasts. Go-to person for many scientific subjects including those not weather related. Initiated and produced award-winning public service efforts which included mentoring at-risk youth. WUPW-TV, Toledo: Chief Meteorologist (2005 - 2008). KZTV-TV, Corpus Christi: Chief Meteorologist (2003 - 2005). KJCT-TV, Grand Junction: Chief Meteorologist (1999 - 2003). KMGH-TV, Denver: Weather Department Intern (September 1998 - January 1999). KWGN-TV, Denver: Weather Department Intern (January 1994 - August 1994). UPS, Denver: H.R. Supervisor/ Comm. Supervisor/ District Load Planner (1987 - 1999). Blender 3D, Weather Central, WSI, Autodesk 3D Max, Meteorlogix, WeatherBug, GR2 Analyst, Bufkit. Metropolitan State College of Denver. Bachelor of Science in Meteorology (minor in Mathematics) and Bachelor of Arts in Speech Communication (emphasis in Broadcasting). Steve France (former supervisor), Owner, GoMediaKentucky.com, 502-603-2823. Kelly Duffy (former supervisor), Colorado Springs, 719-671-5257. 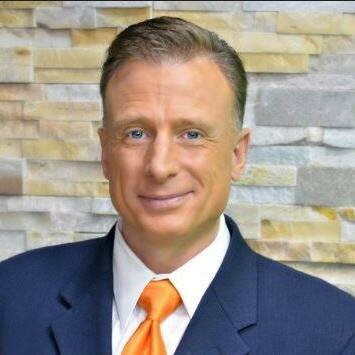 Mark Hanner (former supervisor), ND, Weather Nation TV, Denver, 303-339-7330.